Through Journalismfund.eu, the Money Trail is offering grants to teams of African, Asian and European journalists to investigate cross-border illicit financial flows, tax abuse and corruption. 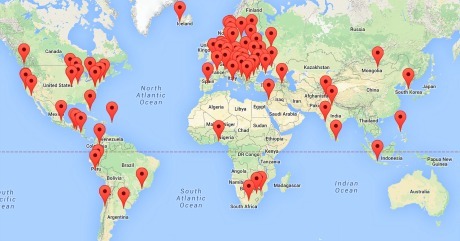 Launched at the 8th European Investigative Journalism Conference & Dataharvest, the Money Trail is also offering training on illicit finance investigations, data security and mentoring. The first deadline is 15 July. The Google News Initiative is working with the Centre for Investigative Journalism to provide a new program called Access to Tools. Over the coming months, a team of expert trainers will provide up to 20 free workshops across the UK, each designed to help newsroom and freelance journalists sharpen their digital news gathering and research skills. The practical workshops will feature technology from a range of providers and include real-life examples, including how individual journalists have traced original sources. Digital entrepreneurs in the MENA region are invited to apply for IJNet Arabic's fifth annual Mentoring Center for MENA media entrepreneurs. During the program, IJNet mentors work closely with their mentees to establish business and media plans, implementing strategies and guiding them by evaluating and studying each project's needs. Mentees will be trained in written and visual content as well as digital marketing, social media and other key aspects of media entrepreneurship. Participants will also study the media industry in their own countries and learn strategies to keep their startups competitive. The first Google News Initiative launched this this week with a large-scale effort to offer digital skills training to thousands of journalists across the MENA region. In partnership with the International Center for Journalists, the training series will focus on digital tools to gather and source information, enhance trust and verification and support data-driven journalism and immersive storytelling. The program will take place over the next year and will see 4,000 journalists trained in six countries, including the United Arab Emirates, Saudi Arabia, Egypt, Lebanon, Jordan and Tunisia. 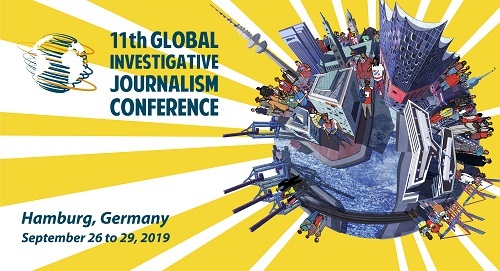 The annual conference of the US-based Investigative Reporters and Editors just ended in Philadelphia, drawing a record 1800 investigative reporters, data journalists, FOI fighters, profs and students from 33 countries -- the largest ever gathering on investigative journalism. The #IRE15 site now includes links to over 80 tip sheets and presentations. At a recent forum, admissions chiefs from two prominent journalism schools -- Columbia University’s Graduate School of Journalism; and the City University of New York (CUNY) Graduate School of Journalism.Journalism Grad School -- offered useful advice for applying to J school. The story is a bit US-centric, but there are useful bits of advice offered. Our favorite: "Read the News Every Day."